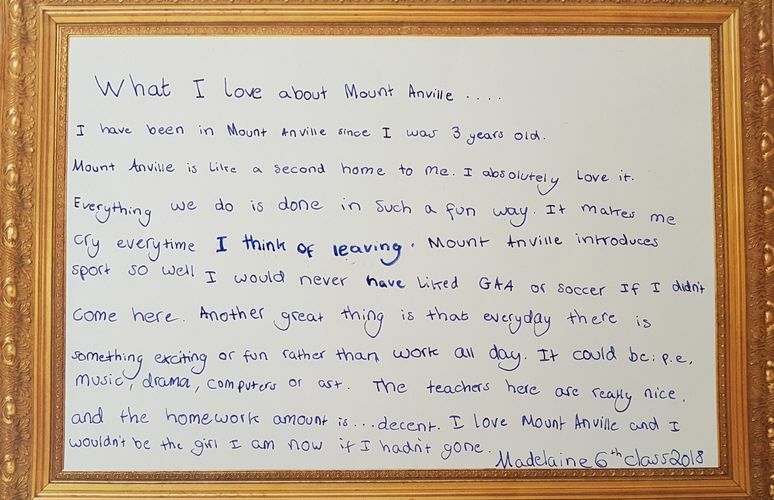 Read some of our student testimonials & enjoy the Mount Anville journey through their eyes. 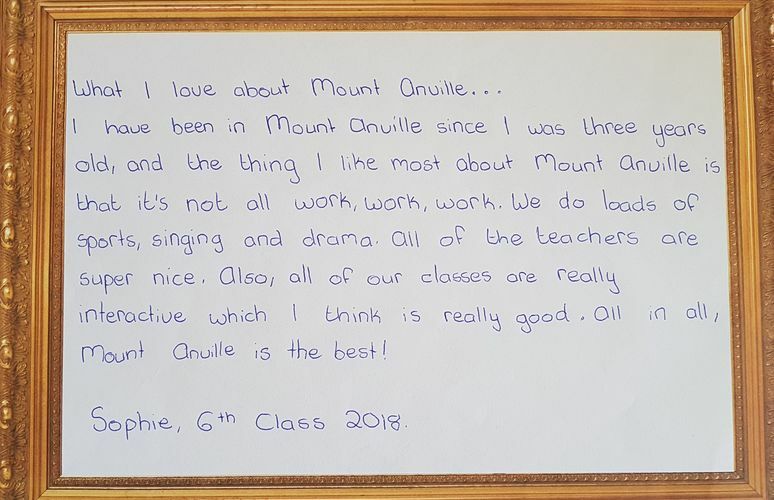 From my first day as a 3 year old in a pink smock I loved Mount Anville and everything it stood for... the smell in the old Montessori School was truly comforting. 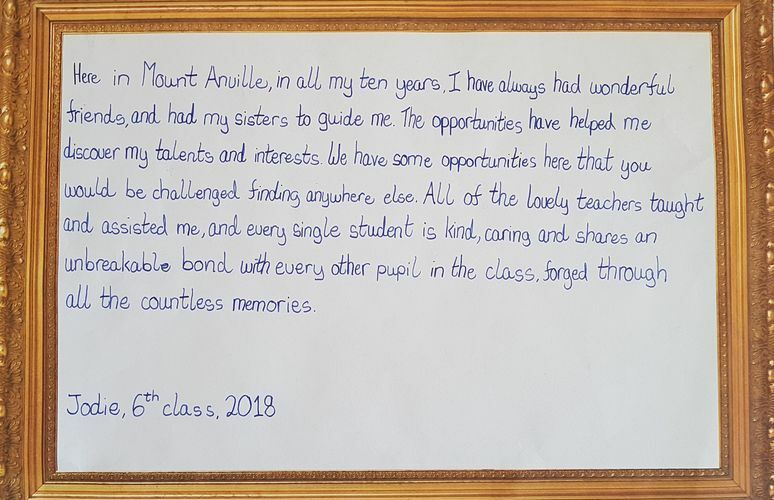 In my latter years in Senior School when I had decided to be a Montessori teacher I knew then that I wouldn't ever be totally fulfilled unless I was teaching in MAMJS. 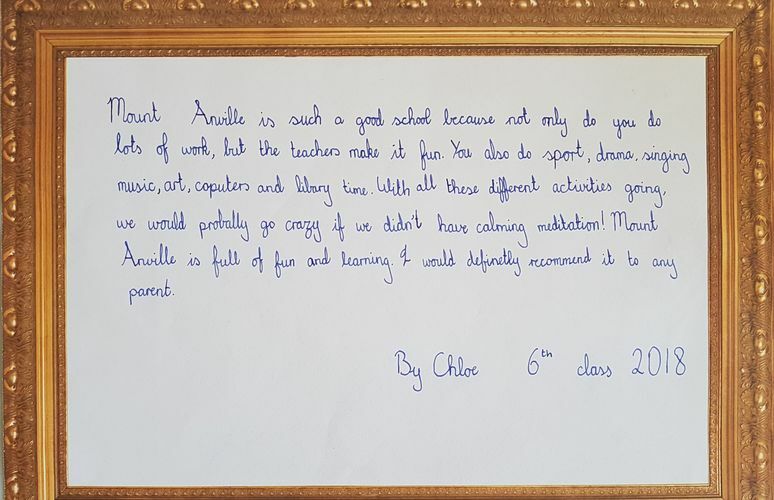 After two years of teaching in Pittsburgh, USA and 1 further year in college I was given a position by Principal Mary Kelly in a 3rd class in 1989 and have never looked back. The atmosphere in our school is special. We have a strong and buzzing staff who have great empathy and commitment to all. 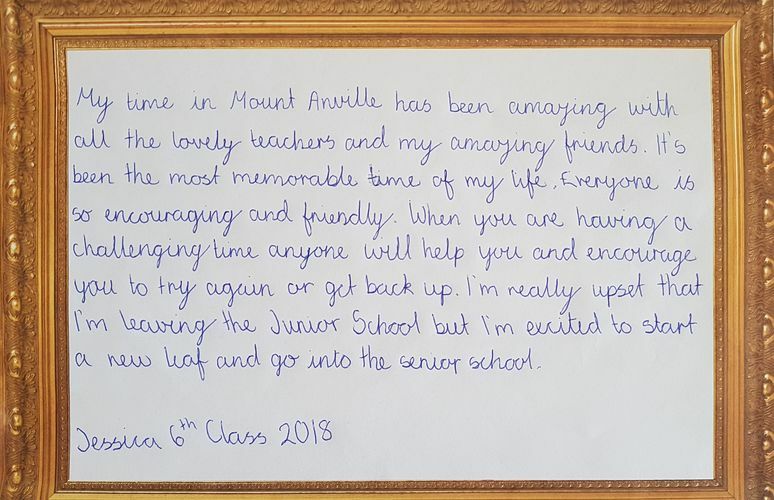 Our school has taken great leaps over the past 6 years with our Principal Elizabeth Kavanagh - she has introduced us to another level of education and we have all grasped it. 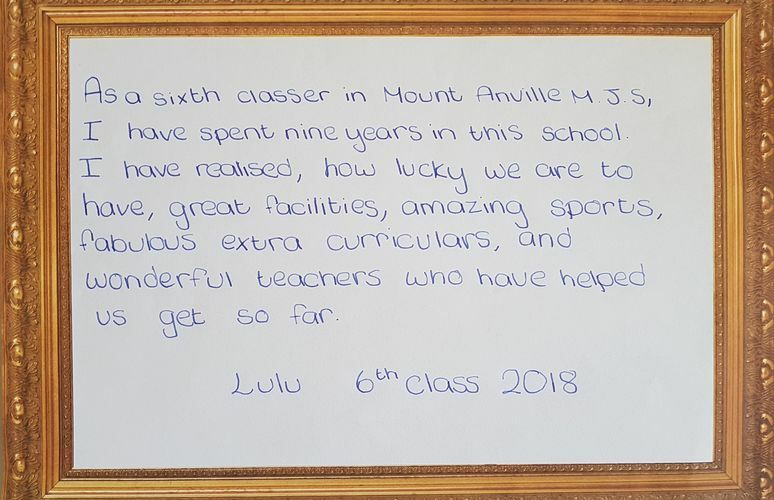 We all work very hard to provide a caring, nurturing education of excellence that each child is offered who walks through the doors of MAMJS. 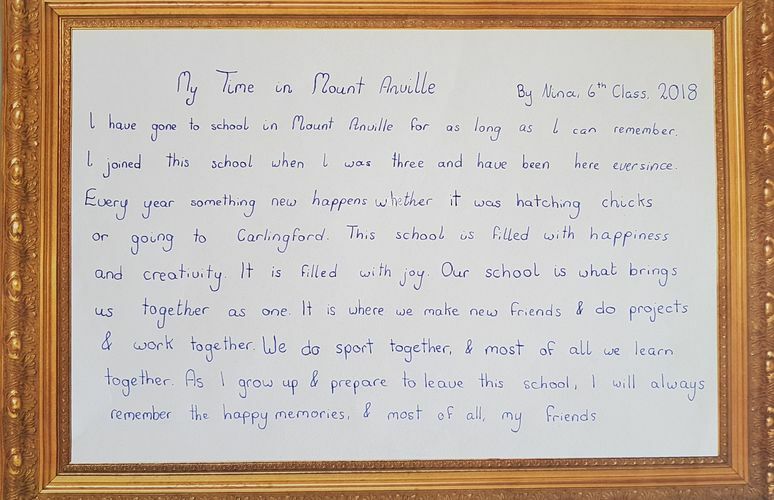 All children of the Junior school, from third class upwards have the choice and option to begin at 8AM with sports, languages, music and singing, right through to evening study at 5PM, so they arrive home with all of their homework finished. These opportunities meet the needs of us as working parents but most especially our daughters thrive each and every day in this 'magic' environment. 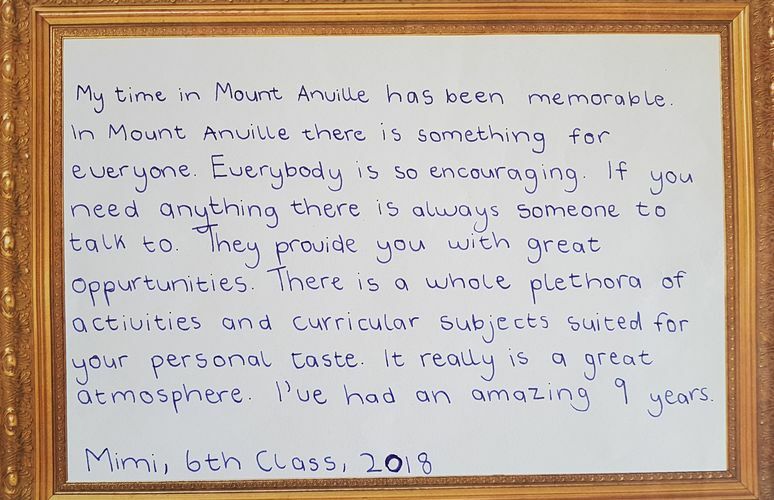 Mount Anville has given us generations of strong women. We can think outside the box. We can figure it our and we have creative and intellectual instincts from the Montessori to power us. I want to thank the school for supporting me now as a working mother. You reap what you sow! Because there are plenty of schools that don't. Congratulations to Montessori on its birthday ( 60 years ). I wanted my children to have the same experience as me, they find it here and so much more today. School fees can be paid conveniently online via our easy payments option. To book a visit simply contact our Administrator Jenny or our Welcome Officer Julie.